Premise: Holly's been demoted right out of the North Pole through no fault of her own, but she'll need more than hope to get her life back on track. 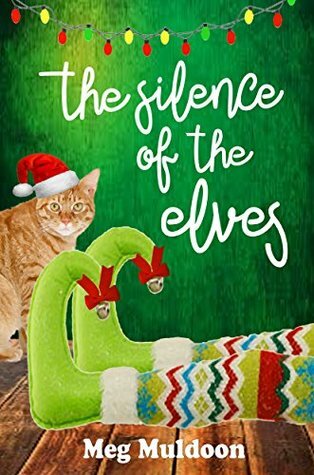 You may recall that I kind of liked another one of Meg Muldoon's holiday-themed cozy mysteries, so when I saw she had a new series that was explicitly about Christmas elves, I had to try it. Unfortunately, I feel that this book was the author attempting to move outside her personal formula and failing. It's a bit like a palette swap. Nothing about the Christmas-elf premise felt committed to or explored fully, just pasted on. The book isn't bad, but neither does it move outside the mold of your average romantic/cozy mystery. You've got your requisite plucky heroine, her work troubles, some descriptions of baking, a murder, a pet, a best friend, an absent boyfriend, and a new romantic interest. I actually think it would have been a much better book if it hadn't ostensibly been about elves. Really nothing special was done with the idea, so it seemed like merely a missed opportunity and a lot of shoehorned references cluttering up a decent story.